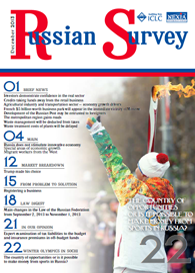 Russian Survey is intended for foreign readers interested in quality news and analysis of the Russian business. 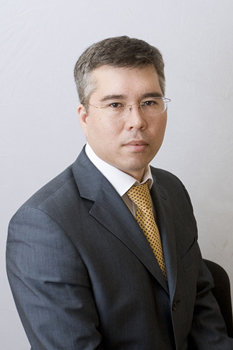 The target audience of Russian Survey is the management and personnel of international companies, whose business interests already include Russia or who plan to expand into Russia, consulting companies and experts planning to work in Russia as well as anyone interested in the opportunities offered by Russia’s economy. What does Russian Survey write about? Lots of things; about problems facing foreign investors in Russia and about specific ways to tackle them, various business development opportunities that exist in Russia (and there are quite a few of those), business regulations including those that directly apply to foreign companies operating in Russia, about how foreign nationals living in Russia should handle their personal finance, about the unique aspects of doing business in Russia as well as about some fascinating features and quirks of the ‘Russian soul’ - national traditions, customs, holidays etc. What prompted us to come up with the idea for and start publishing Russian Survey? Well, there were several reasons; first of all we, and we, in this context, means the ICLC audit firm, are a member of the Nexia International global network of auditors and we get a lot of questions about doing business in Russia from the customers of the other members of Nexia. This means we understand the problems and interests of the target audience for Russian Survey. And since our profession is audit and consultancy, we are under the obligation to answer the questions posed by our customers. Thus in the process of doing our job and networking with our colleagues through Nexia we often come up with rather unorthodox solutions that we would like to deliver to as many readers as possible, while at the same time sharing some other information which they might find interesting. We would appreciate any kind of feedback from you! Please send in questions, suggestions, personal opinions and comments about our publication.